Just some photo’s of the work we carried out yesterday. 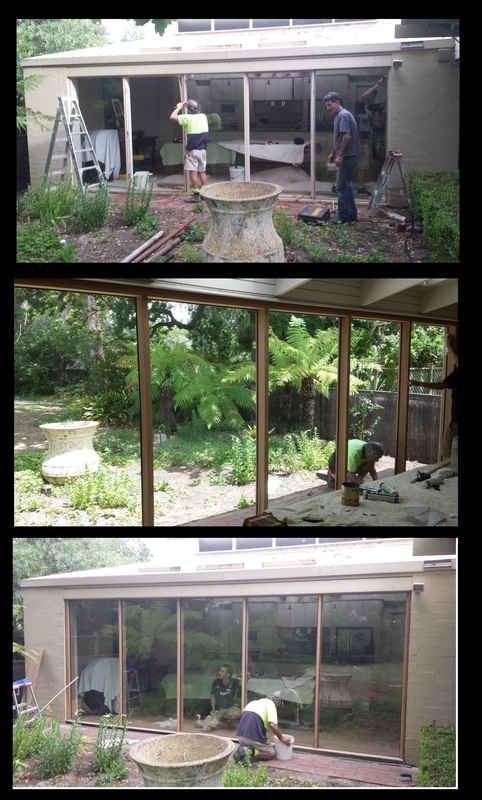 Removal of an old rotting timber window with doors, and installation of a new frame. New frame; WRC timber, with double glazed units. Each panel of glass weighs 68.7kg. Square timber beading on inside and out of frame. The sill was cemented underneath at the final stage.